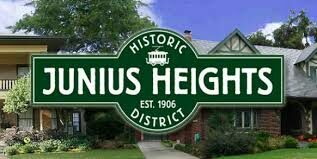 Junius Heights is Dallas' largest historic district, a neighborhood of more than 800 homes in East Dallas, Texas situated east of Munger Place, south of Swiss Avenue and southwest of Lakewood. Homes in this community are constructed primarily of pier and beam foundations. Over time these homes have settled and floors have become uneven, doors start to stick, and cracks develop around windows and doorways. Texas soils have upward and downward movement and our recent drought has wreaked havoc on foundations in North Texas. If you suspect you have a foundation problem or just want to get your floors leveled give us a call and we will be happy to come provide you with a free foundation inspection with a written estimate.